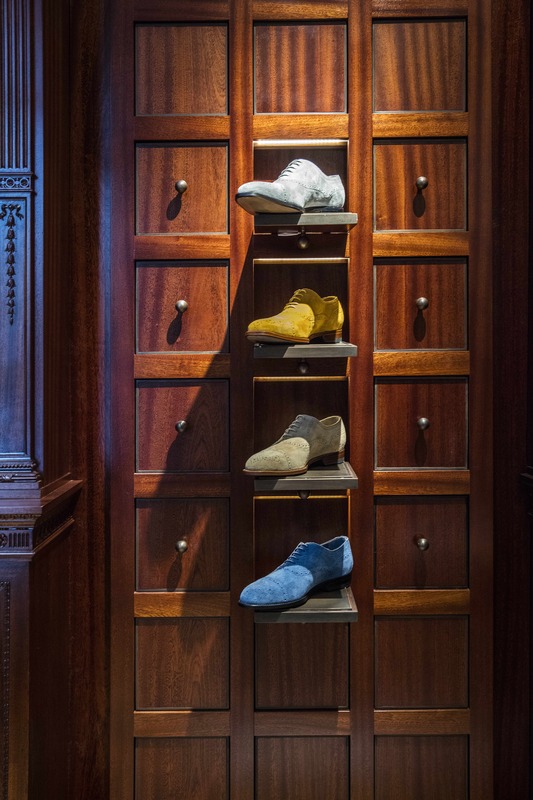 Nick Leith-Smith Architecture + Design have designed the world’s first space to house the menswear collection of prolific luxury footwear designer Manolo Blahnik. 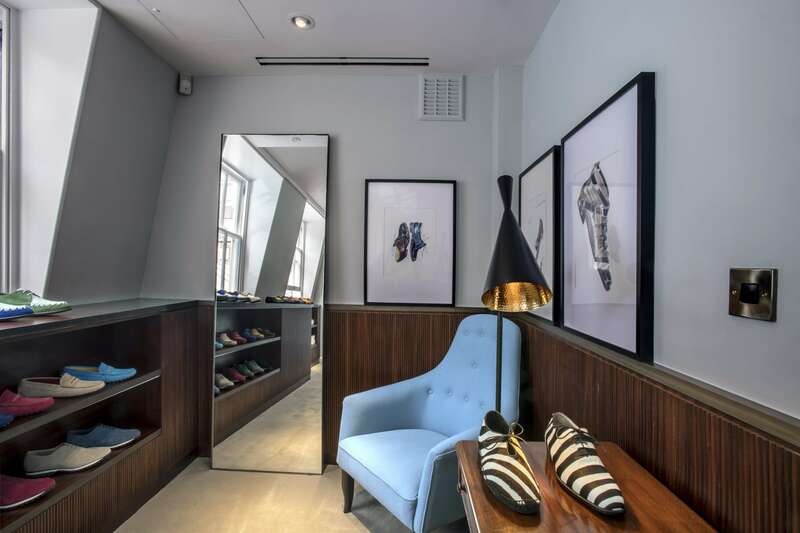 The Manolo Blahnik men’s boutique occupies 31 sq m, spread across three floors. The store sits next door to the existing Manolo Blahnik women’s store in Burlington Arcade, which was opened in 1819 and runs from Piccadilly through to Burlington Gardens in Mayfair and is considered one of the precursors of the shopping gallery model that became popular across Europe in the mid-19th century. 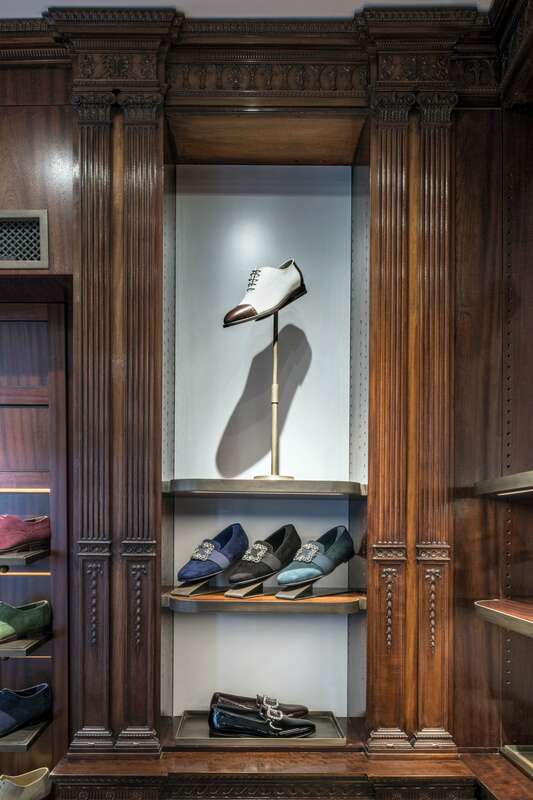 Inspired by the work of Gio Ponti, the great master of 20th century Italian architecture and one of Blahnik’s personal icons, Leith-Smith worked in close collaboration with Blahnik to create a cool, continental style, while also remaining true to the Victorian elegance and history of the existing space. Several items of Victorian furnishings have been preserved, such as carved mahogany display units, complemented by new furnishings that have been built using the same wood but designed in Gio Ponti’s modernist aesthetic. 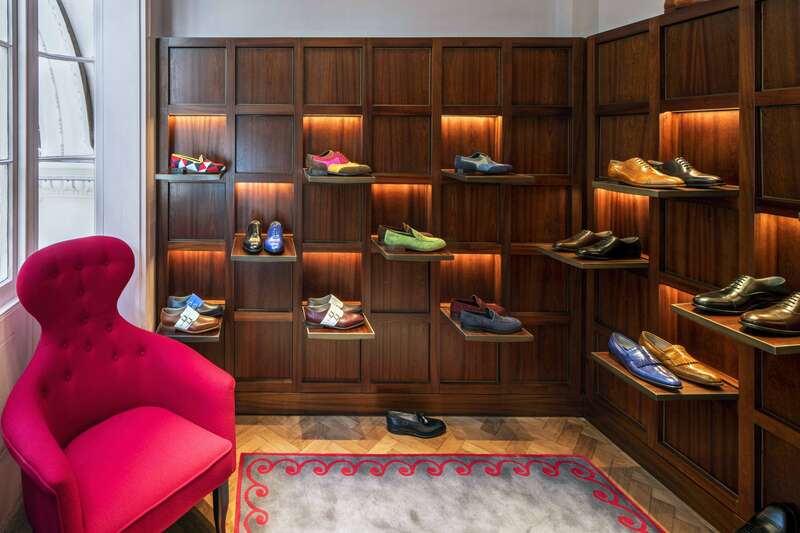 The floors have been fitted with handmade Kvadrat textiles and bespoke silk rugs. 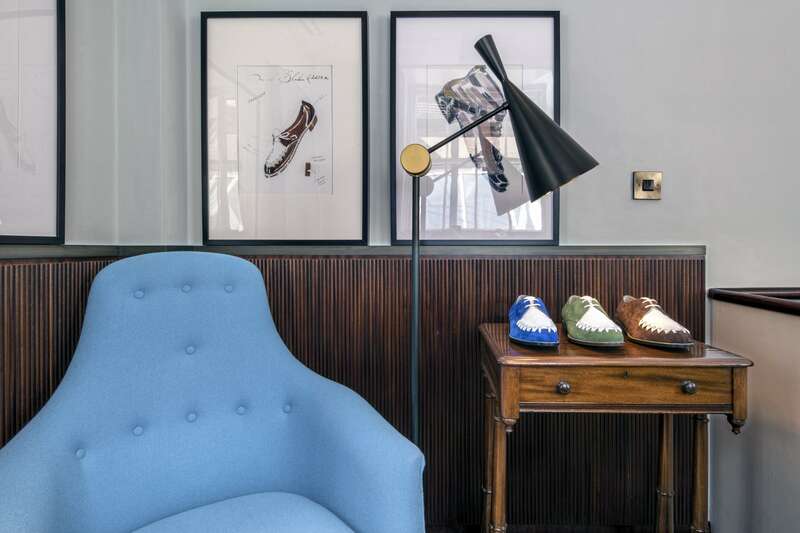 Responding to the 19th and 20th century styles are fresh contemporary touches, such as the signature Manolo Blahnik colour pop of maroon, red, navy, yellow and green in the arm chairs found on the first and second floors, and the fold-down LED-lit displays on the ground and first floor that were inspired by Gio Ponti’s panelled walls. 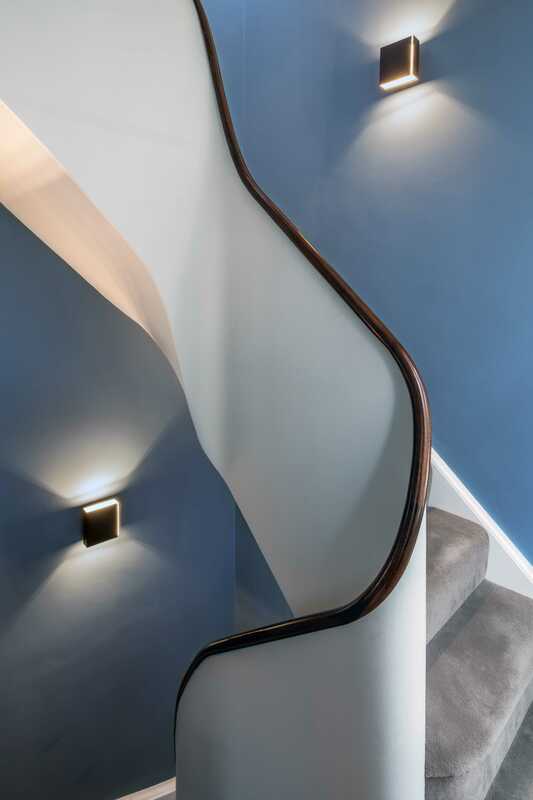 These contrasting looks sit side-by-side to create an environment that is rich in heritage yet forward-looking and innovative. 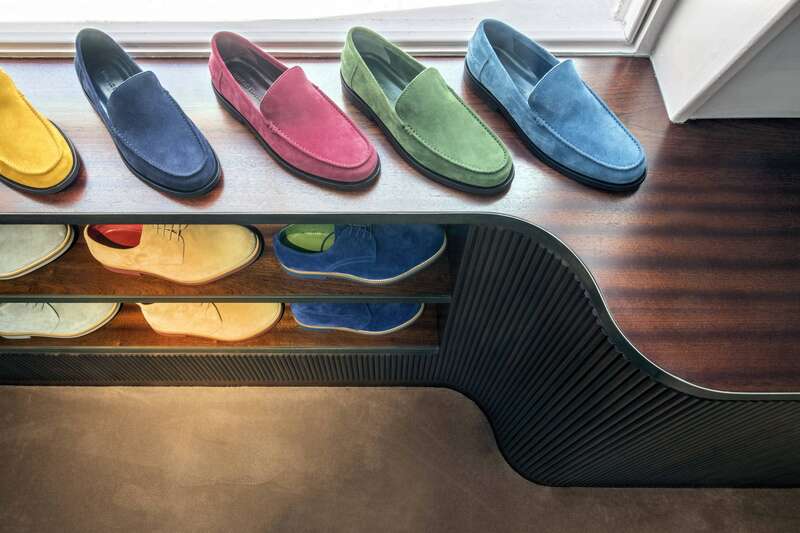 Bold materials like timber, bronze and leather, complemented by blue walls and classical furniture and panelling, make for an elegant, masculine space with associations of luxury and quality, an apt environment for the collection of over 35 styles of men’s shoes that Blahnik has been designing since the launch of his fashion label over 40 years ago. 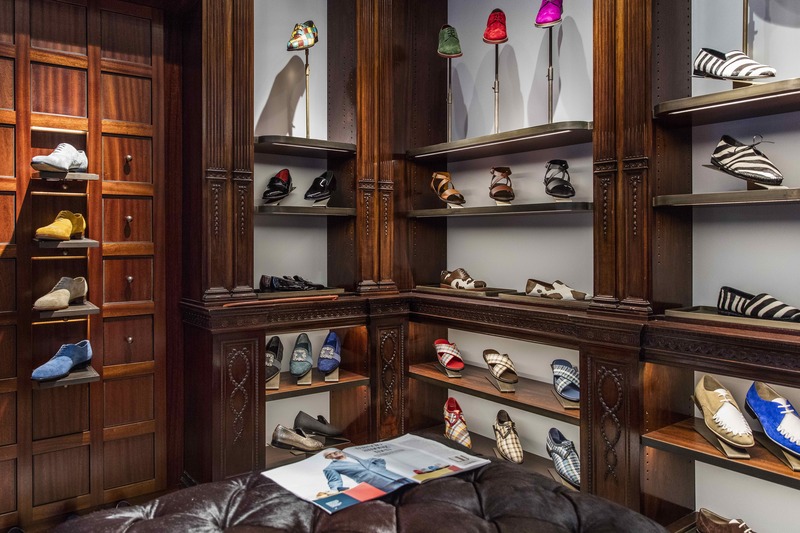 The ottomans, side tables and other free-standing furniture in the space have been chosen by Blahnik himself. 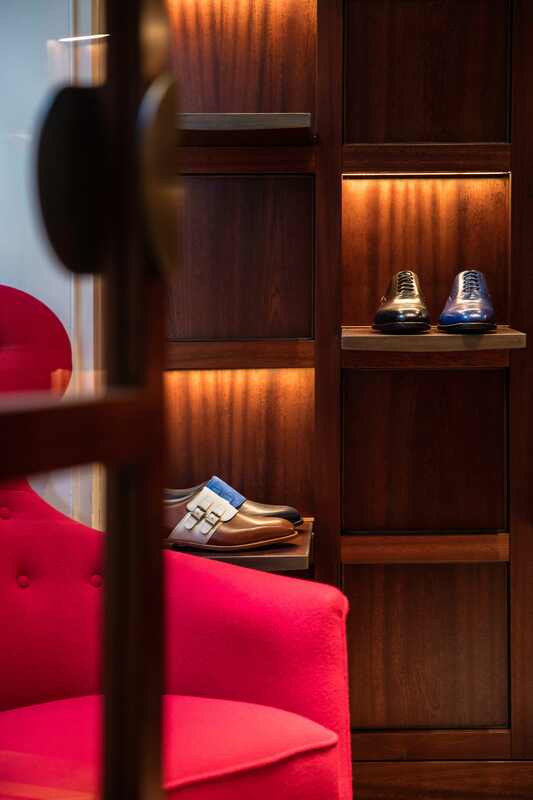 The lounge-like atmosphere of the store is complete with a drinks trolley for customers on the second floor.